The size of new-car loans grew in the first quarter, with the average amount financed rising $589 to $25,995. (Reuters) -- Lenders in the United States gave car buyers some of the easiest credit terms since the financial crisis in the first quarter as they competed to make more loans to borrowers they see as safe, a credit research company said. The lenders also provided more money to people with subprime credit scores, cut interest rates and granted more time to repay, Experian Automotive, a unit of Experian Plc, said in a report today. Rates of late payments and repossessions by lenders also declined in the quarter, Experian said. "This thawing of the credit pipeline has been good for everyone, from consumers to lenders to automotive retailers," said Melinda Zabritiski, director of automotive credit for Experian. The average credit score for borrowers buying new cars dropped six points to 760 on Experian's scale, which classifies marks of less than 680 as subprime. 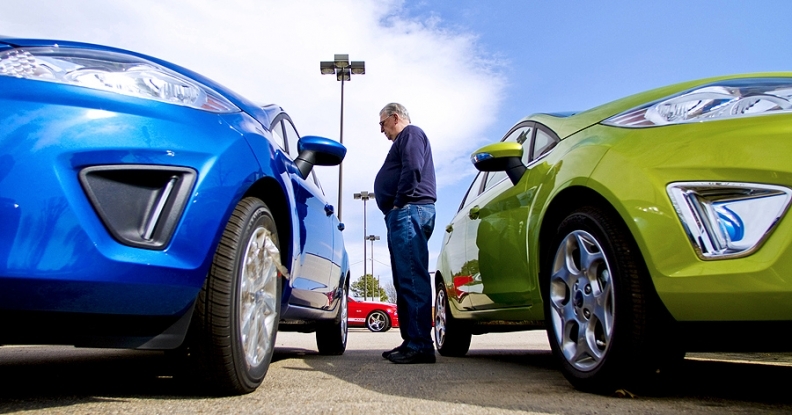 For used-car buyers, the average score dropped four points deeper into subprime range to 659. Ally's share of used car financing by the biggest 20 lenders increased 8.3 percent from a year earlier to 4.2 percent of the market, while its portion of new-car financing fell by 39.7 percent to one-tenth of the market, still the largest market share of any company.